Too high-end to be a motel. Too small to be a hotel. Too stylish to be an inn. The High Tide transcends traditional hospitality categories with a modern, accessible take on what it means to get away. With inimitable artist-designed rooms, The High Tide is a unique lodging experience in the epicenter of the Rockaways – NYC’s budding and booming beach town. 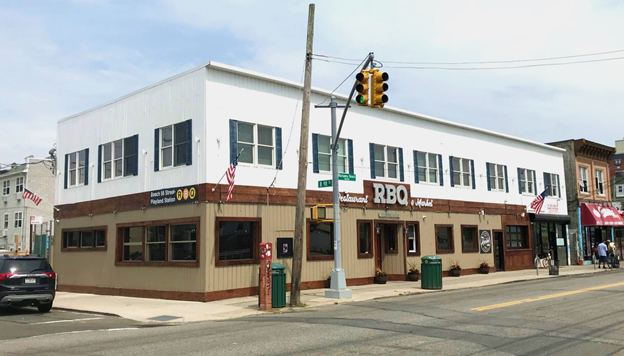 Neighbors with the best restaurants and bars and only one block from the beach, The High Tide is quickly becoming the preferred place to stay in Rockaway Beach, having only opened our doors in May 2018. The High Tide has no front desk and no staff on site besides the cleaning crew. When you arrive, you’ll receive a unique key code to your room through the platform that you booked on, which will be active for the duration of your stay. It’s a simple approach that cuts through the bureaucracy of a typical hotel. 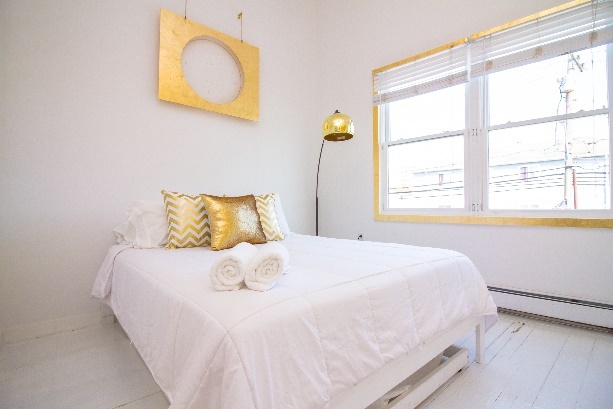 We also don’t have TV’s in the rooms – because, let’s face it, you’re here to enjoy the beach, explore the Rockaways and live your life outside these walls… not watch Netflix in bed. If you need anything at all, you can reach us 24/7 on email or phone; that information is available via the platform you arranged your stay through. We are located half a block from the Beach 98th Street subway stop, and are a quick drive from JFK. You can also take the Ferry from Wall Street or Sunset Park that lets out at Beach 108th Street, 12 blocks away.